President Trump announced Friday that he will nominate Heather Nauert to lead the U.S. delegation at the United Nations to replace outgoing ambassador Nikki Haley, who had said she would leave by the end of the year. "Heather Nauert will be nominated for the ambassador to the United Nations," Trump said as he left the White House for a trip to Kansas. "She's very talented, very smart, very quick, and I think she's going to be respected by all." Nauert has been the State Department spokesperson since April 2017 after a career as a broadcast journalist at ABC News and an anchor at Fox News. She still must be confirmed by the Senate, and it's expected Democrats will raise questions about her lack of extensive diplomatic experience and views she expressed while working at Fox. 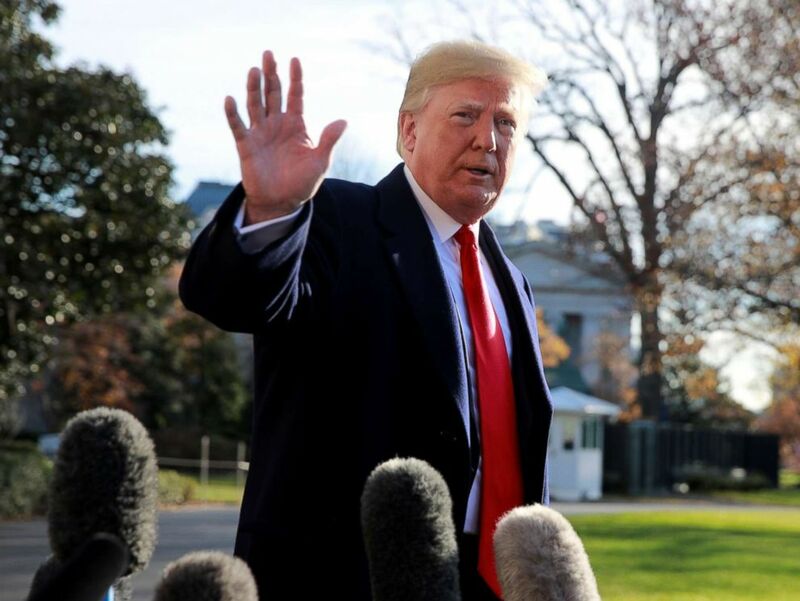 President Donald Trump waves to the press as he prepares to depart the South Lawn at the White House in Washington, Dec. 7, 2018. The White House has not yet formally sent her nomination to the Senate, making it "highly unlikely" Nauert will be able to complete the confirmation process, including filing financial disclosures and the Senate Foreign Relations Committee's questionnaire, meeting with members, and having a hearing, before the end of the year, a committee aide told ABC News. Instead, if Haley departs by January, as she said she would, her deputy Jonathan Cohen would become acting ambassador. Cohen is a career Foreign Service officer who most recently served as Deputy Assistant Secretary of State for European and Eurasian Affairs. After Secretary of State Rex Tillerson was fired in March, Nauert was promoted to acting under secretary of state for public diplomacy and public affairs, but she lost that title in October, while retaining the responsibilities of the position, because the law limits how long someone can serve in an 'acting' role without being formally nominated and facing Senate confirmation. 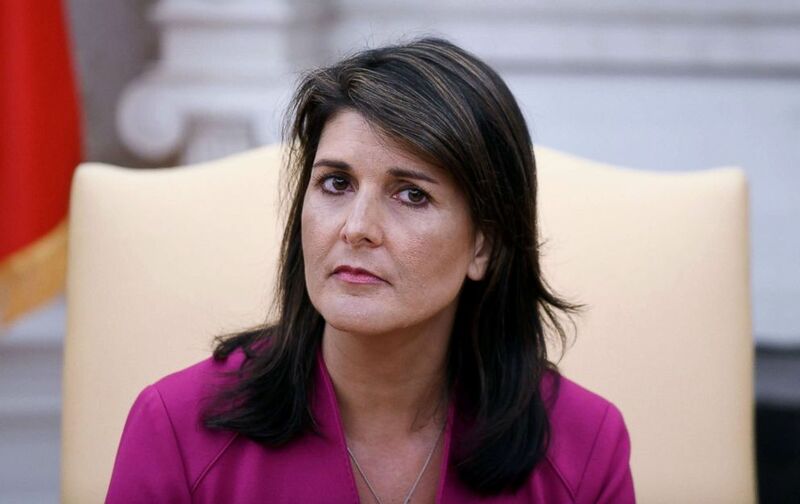 Haley, the former South Carolina governor, has been a vocal advocate for U.S. foreign policy in New York. In October, she announced she would leave the post after completing two years in the Cabinet-level position, exiting on her own terms and with few public spats with the president. Nauert is "going to work with Nikki Haley" on the transition, Trump said Friday. It's unclear if the role will remain in the cabinet, with several outlets reporting it would be downgraded, but the White House officially declining to comment so far. President Dwight Eisenhower was the first to make the U.N. envoy a Cabinet-level post, which it has been under every president since, except for George H.W. Bush and George W. Bush, whose U.N. ambassador was Trump's national security adviser, John Bolton. Bolton and Secretary of State Mike Pompeo are said to have wanted to downgrade the post to concentrate power and Friday a White House official confirmed to ABC News that Nauert, if confirmed, would, unlike Haley, not be considered a member of Trump's Cabinet. While critics say it would send the wrong message to other countries at the U.N., some say it would help streamline U.S. diplomacy: "No other ambassador has Cabinet status. To do so invites internal friction and external confusion... The UN ambassador should stay in NY rather that shuttle to DC for cabinet meetings," tweeted Richard Haas, president of the Council on Foreign Relations. While Nauert entered the administration under Tillerson, she never gained his trust or traveled with him, perceived by his inner circle as a spy for the White House, according to sources close to Tillerson. She is personally close with Trump's daughter and son-in-law Ivanka and Jared Kushner, who serve as senior advisers at the White House, as well as Tillerson's successor Mike Pompeo. Since Pompeo became the top U.S. diplomat, Nauert has traveled on nearly all of his trips and been a close adviser. She's won some praise as spokesperson, at times deftly managing questions on the daylight between Tillerson and Trump or last-minute policy changes in the form of presidential tweets. But she's also been criticized for cutting back on department briefings. What was once a daily occurrence and lasted on average 45 minutes is now less than once a week and averaging little over a half hour. Nikki Haley, the United States Ambassador to the United Nations during a meeting with US President Donald Trump speaks in the Oval office of the White House, Oct. 9, 2018, in Washington, D.C. There have been other press restrictions under the Trump administration, including the number of journalists allowed to travel with Tillerson and Pompeo. Critics also say that after less than two years at the State Department, she does not have enough experience for a role that was once filled by academic figures and marquee names in U.S. foreign policy like Adlai Stevenson, Jeane Kirkpatrick, Daniel Patrick Moynihan, and Madeleine Albright. "Our country needs a far more experienced voice in this, the biggest of world stages, at this most uncertain and unstable of times," said Brett Bruen, a former diplomat who served as director of global engagement in the Obama administration. A senior administration official told ABC News, "Heather would be an astounding advocate for America at the United Nations. She is smart, she’s so hardworking, she never gives up working on behalf of American values." "She's been a supporter for a long time, and she's really excellent," Trump said of Nauert in November, when her name surfaced a likely replacement for Haley. ABC News reported at the time that Trump had offered her the job, and one source said the delay in the official announcement was the vetting process required for Senate-confirmed roles. Nauert met President Trump at the White House in November twice to discuss the role, two sources told ABC News. He reportedly wanted another woman to take on the role.